Once admiringly acknowledged, in the words of a Xhosa praise, as NguZanengxaki (“Bringer of Problems”), Charles H. Long’s work over the last fifty years has significantly explored and expanded the boundaries of the History of Religions. Born in Little Rock, Arkansas, Long received his B.D. and Ph.D. degrees from the University of Chicago, where he studied with Professor Joachim Wach, the pioneer who helped define the History of Religions as a field. As Professor of History of Religions at Chicago, he collaborated with Professors Mircea Eliade and Joseph Kitagawa to found the international journal, History of Religions (1961). 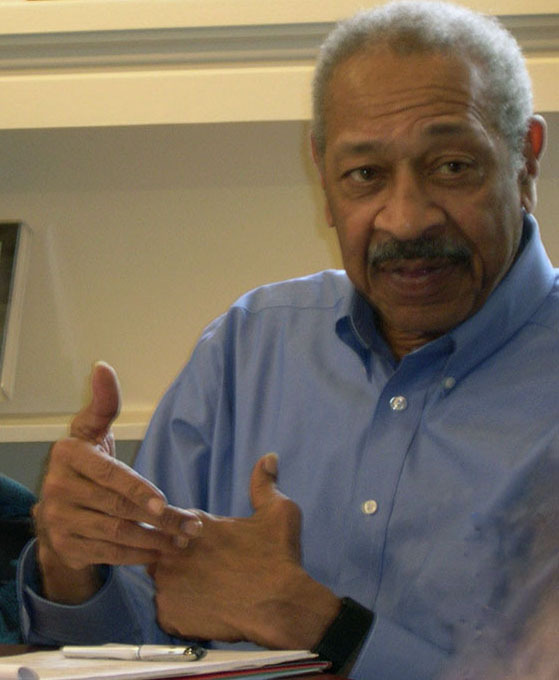 He was also the founding editor of the series Studies in Religion for the University of North Carolina Press and has been involved in training several generations of scholars of religion and African American studies. His publications include Alpha: The Myths of Creation (1963), The History of Religions: Essays on the Problem of Understanding, edited with Joseph Kitagawa (1967), and Significations: Signs, Symbols and Images in the Interpretation of Religion (1986). He is former president of the American Academy of Religion. Vincent L. Wimbush, the founder and director of the ISS, has produced nearly three decades of ground breaking research, both inside and outside the academy. 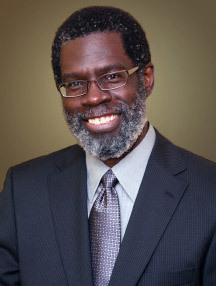 As editor of the monumental African Americans and the Bible (2001), producer of the documentary film Finding God in the City of Angels (2010), and most recently as the author of White Men’s Magic: Scripturalization as Slavery (2012), Wimbush’s work encompasses and engages a variety of academic disciplines. In the Fall of 2014 he launched the ISS as an independent scholarly organization. He is former president of the Society of Biblical Literature. Welcome to the inaugural issue of The Abeng! In this first issue, Professor Long conducts a long form written interview with ISS founding director Vincent L. Wimbush. In this wide-ranging interview, Long raises several questions, including a question about the import of the interview protocol itself. Wimbush not only reflects on his entire career, but he reveals a deeply personal engagement with the history of ideas and with issues that led to the founding and shaping of what has become the ISS. CHL: So, Vincent, please speak to how the ISS got underway? What is it about your academic background that accounts for it? VLW: First, allow me to express my gratitude to you, Professor Long, for your willingness to facilitate this interview-conversation. I am honored by your support of what has become the ISS. You must know that your work has been a formative influence in my thinking about this venture. I understand this first question to be about my background—both academic and intellectual—and how the idea of the ISS developed out of that background. It reminds me of the question put to me years ago about how I had gotten to Harvard (in the Ph.D. program for the Study of Religion). As a reflection of the fraught traditions and politics you know well and have written about—having to do both with being “signified” and “signifyin(g) on…”—I responded, “Delta.” But I understand the question put to me here to come from entirely different motivations than the one put to me many years ago. And so I should like to try to respond in that way that does not require the hedging or silence about which literary critic Houston Baker wrote, or the deliberate holding back with which Zora Neale Hurston became familiar among the black folk in Florida. From “historical criticism” to “critical history” is the best way to frame my re-orientation. Such academically inflected jargon, which reflects little to nothing of the larger social reality—indeed, masks psychological complexity and struggle—is still an apt and useful language for describing the major developments that have led me to this point of launching the ISS as an independent scholarly organization. I was trained to be a teacher and scholar of religion, with primary focus on the Christian Bible, and a secondary focus on the history of religions. The scholarly study of the Bible in my (arts-and-sciences-governed) program refracted the critical discourses and operations of history, philology, literary-, source-, form-, and rhetorical-criticisms. Although some of these methods and approaches developed beyond their original and long term functions as part of what was termed “historical criticism,” the latter was and still is used as the cover-all shorthand for traditional work in my field, as well as other fields that focus on the study of texts—“ancient” to “modern.” Such criticism is focused on the explication of the text, with attention to its “world,” its historical context or literary-rhetorical arrangements and projections. That is what it was like to read there, at Harvard, but that is not what I sensed reading ought to be about. I brought with me on that Delta flight a kind of refusal, an awareness of my otherness, of my low Protestant Southeastern background—an awareness that something different was needed. This refusal was occasionally nurtured by irruptions here and there, on and off campus. One such irruption was found in Wilfred C. Smith’s critique of the academic study of scriptures, including the construal that was the program with which I identified. Although Smith’s critique was not countenanced in official terms by my program, I took it to heart and mind. My scholarly career is an ongoing quest to struggle against and move beyond the politics, sensibilities, and operations of historical criticism, even as I recognize my intellectual socialization and formation in relationship to it. Moving beyond it—and the critiques I level against it—I associate with my evolution in the practice of critical history, which involves focus not on textual interpretation (and its highly circumscribed history and politics), but on textural excavation, the probing of human signification and human-making. The first period—from the beginning of my career in the early 1980s to the mid 1990s—had to do with my representation/reinscription of the fairly traditional orientation, sensibilities, skills and practices of Western Enlightenment-inflected academic biblical scholarship. Teaching in a well-regarded graduate professional school of theology in a small town of small private elite colleges in Claremont, California, I further cultivated the skills of the historian (of late ancient circum-Mediterranean religions and culture) and the philologist (of ancient Greek and Latin texts—especially ancient Jewish and Christian texts called “scriptures”). I accepted the agenda of pursuing the historical “facts” in and behind the “texts.” Within this system I worked as an historian of religion and text critic invested in the critical exegesis of the pertinent texts and in the origins, historical development and theorizing of early Christian-ities, with special interest in the history of Western traditions of asceticism and other forms of world renunciation. For my orientation and work associated with this period, I was granted tenure (in 1990), recognized by the academic guilds (in appointments to important posts) and supported by foundations with grants—I was then by any fair measurement a productive and successful historical critic. So I began in earnest to change my focus and intellectual agenda—from the reconstruction of the (still mainly unproblematized) ancient Greco-Roman world, and the pursuit of the correct content-meaning of the ancient Christian texts, to the problem of the meaning of seeking meaning in relationship to ancient iconic texts called “scriptures.” I committed myself to the raising of what I came to consider the most basic question that should be raised prior to the question regarding the content-meaning of the iconic texts: I began to ask not so much what is the meaning of this or that text, but what is the work we make texts do for us. I had begun raising the questions and issues of critical history. The most significant intellectual step I took at this time was my decision to make the history of African Americans’ experiences, expressions and practices the experiences, expressions and practices “to think with.” I became convinced that the default thinking—whether social, religious, cultural, or academic—would continue to presume that scriptures were “white,” that is, they were largely unacknowledged representations and projections of the dominant history and culture. So I began to conceptualize and develop a multi-disciplinary and collaborative research project on African Americans and the Bible that modeled a different academic-intellectual orientation, and thereby challenged the dominant paradigm. Over a period of two years, beginning in 1997, I set up what was the first ever of a series of structured but enormously dynamic and intensive colloquia among historians, literary critics, social scientists, visual art historians, musicologists, and religion scholars around the topic African Americans and the Bible. These experiences led to my convening the first major international conference on the topic in New York City in 1999. (The conference was attended by more than 200 persons—scholars of many different fields and disciplines, as well as community activists. African Americans and the Bible: Sacred Texts and Social Textures, Continuum International, 2000, 2001, was published as a result.) Given its success, grant support for all related initiatives soon followed. In this early period I began to facilitate conversations that represented my turn towards critical history—towards the excavation of a complex phenomena and a complex people. Such history also made use of the Bible as an example of a scripture (never the scripture) in broader, more comparative, phenomenological and conceptually elastic terms. This was the beginning of a new discourse and intellectual project. The third period—from 2003 to 2009—represents my acceptance of more academic-intellectual and programmatic risk-taking with the discourse I began in African Americans and the Bible: I took up the ongoing challenge of comparative work, and sought to balance focus upon my own world and its forms of expression with others’ worlds and others’ forms of expression—that is, with the traditions and expressions of many different peoples. This acceptance reflects my assumption that the experiences of African Americans (and the Black Atlantic and the larger African diaspora) are different from others but not altogether exceptional or unique, that such experiences are not to be studied as exotica, but as analytical windows onto broadly shared, if not universal practices, expressions and experiences. So what I began doing in this period represents not an abandonment of, but a building upon, and an expansion of the African Americans and the Bible project. I began to make use of continuing research on African Americans and the Bible as a wedge for theorizing about, and building a critical studies program around “scriptures” as a complex historical-comparative phenomenon in society and culture. With my acceptance of an appointment at the Claremont Graduate University (part of the Claremont Colleges Consortium) in 2003, and the convening in February 2004 of another international conference (“Theorizing Scriptures”), the Institute for Signifying Scriptures was established as a center to facilitate the sort of multi-layered, trans-disciplinary research on “scriptures” that I had for many years sought to encourage and model. This rather unique research institute (ISS) has as its agenda the forcing of certain simple and basic—but deeply disturbing—questions and issues about the complex phenomenon of “scriptures.” What are they? How are they invented? What work do we make them do for us? What do they represent in the politics of language, in the politics of academic discourse? What power dynamics and relations do they create, foster and delimit? Because of what we can learn from shifting the focus of research from dominants, from “traditional” or “normal” subjects (cf. medical research), to those on the margins, I have instead placed privileged, but not exclusive, focus upon ex-centrics—that is, historically dominated peoples. The programmatic initiatives and accomplishments during this period were many: Brown Bag Discussion Sessions, which came to be widely recognized as a site of cross-disciplinary conversation on the Claremont campuses and in the community; a university press book series (Signifying [on] Scriptures); production of a documentary film (Finding God in the City of Angels); conceptualization and leadership of a collaborative inter-field ethnographic research project on scripture-reading among communities of color in the United States; conceptualization and establishment of a new Ph.D. program (Critical Comparative Scriptures). The ISS became a thriving center of academic-intellectual activity and programming. The fourth period begins roughly 2008 or 2009 and extends into the present. This is the period that I have claimed for my own research work and writing on the basis of the years of collaborative work and conversations, programs and projects that I had conceptualized, organized, and facilitated. Of course, I have been writing all along, all through the years of my academic-intellectual organizational leadership. That I had been somewhat successful over many years in efforts to contribute my own research and scholarship, as well as facilitate new collaborative research initiatives, can be seen in the honor I was given by my peers in 2010: my election as President of the Society of Biblical Literature—my most important professional guild. And most recently, as part of a multi-volume project on the history of Black Atlantic scripture-reading practices and politics, I completed and published White Men’s Magic: Scripturalization as Slavery (2012). As a reflection of and complement to this level and type of work—and what it may portend—I have just recently made the very hard decision to resign from the professoriate in order to devote myself to the advancement of the research mission and focus of the ISS. Taking into consideration the risks involved, I took this step because after thirty years of effort I became convinced that the traditional academy would not likely advance the research focus and orientation of the ISS—to which I am firmly and passionately committed. I believe this work represents the future—a future that has already been initiated in the globalized 21st century. Insofar as the focus and orientation of the ISS includes critical analysis of the dynamics and politics of scripturalizing—of discourse and power—that are sedimented in and that define the academy itself, I needed to face the difficult decision about what had to be done to ensure momentum for the work represented by the ISS. After having faced squarely in the past the difficult challenges of going my own way, with the attendant personal and professional costs, I could not fail to take this next painful but exciting step: I made the decision this year to make the ISS an independent scholarly organization that represents a safe space for, and facilitates research work on, scriptures as a shorthand for work on the politics of language. Although fraught with uncertainty, this gesture is the chance to collect and communicate with passion the ideas and arguments from my continuing journey (not on Delta!) toward integrity—in the original and most profound sense of this term. Such an effort, compelling in its own right, may have the added boon of inspiring and challenging others with their struggles for integrity so that they might find courage and a safe space to think ex-centrically. CHL: I found the outline of your career most interesting. While it explains and made clear the several trajectories your career has taken, it also raises for me several issues in relation to religion in the contemporary world. One of the threads running through the various renditions of your career has been a concern for the African American tradition out of which you have come and the specific meaning of this tradition as a resource for understanding religion, Scripture, and meaning, respectively. Allow me to pose a question this way. Two of the terms, “religion” and “Scripture” are generally related to forms of authority. I should like to raise the issue of the nature and meaning of Scripture and authority within the African American tradition that nurtured you. And then, in turn, I wonder how your response to this expresses a “meaning of life.” I am bearing in mind the oppressive nature of the manner in which religion and Scripture have more than often been part and parcel of the oppressive orders of American culture. VLW: Yes, well, “religion”—that is a concept, a phenomenon, as you know well, just recently applied to Black folks. The term cannot be banished, so here we are, aware of the need for qualifications and nuance. So “religion”—repackaged here, exaggerated there, played with here and there among the African dispersed, was made to be a vital force for the particular community out of which I sprang. This included many—but never all—members of my family. Two grandparents registered and are remembered as virtuosi, one a prayer-band leader. There was never the pressure on me to be religious or to do religion; I think, rather, it was the virtuosity of these grandmothers and some others they tarried with that made me curious. What I noted was how strong and stable and confident and eloquent they were in sometimes challenging circumstances as they performed “religion.” I wanted to know more; and I wanted to be able to perform as they did. Performing scriptures was one of the ways I tried to show myself belonging with them. The reading came easily and early on. It was a matter of imitating their mimetics. It is clear to me that my pursuit of a Ph.D. in scriptural studies comes out of my having noted, having been made curious about, even fascinated by, the performances associated with the grand figures of my childhood. But I want to be clear that I think this interest—notwithstanding the all too oft noted syndromes of the regional (“Bible Belt”)—didn’t have anything to do with fetishization of the book; their was none of that tightness, none of the harsh stridency often appertaining to such fetishizing; no, it had to do with wanting to be and do what I identified with Sister/Moma Sallie and Ms Lessie. There was something amazing and fascinating about their engagements: their ludics with the Bible seemed consistent with the ways they generally operated in the world. Their strength, their wiles, their survival instincts and skills—these were explained in scriptural terms, in terms of meaning, as Hurston explained about the “hidden meanin’” of things. And the stylistics, the rhythms, the sounds, the fluidity of engagement, of gestures, of texts and social textures —these ways fascinated me and made me curious. My curiosity made me want to find out more about what they and others like them (as I draw on language I now have at my disposal) were doing with scriptures, what work they made scriptures do…I do not ever recall their interest in any single line of interpretation of texts. I don t even recall any content analysis I can associate with these folks. And I learned this from them: I simply cannot think of my interest in scriptural studies apart from this horizon, this frame of reference. I was never interested in “the historical Jesus”—only about that Jesus who was invoked by the prayer band and bible study circles of the elders. I thought I would in the framework of a graduate program in scriptural study find answers to questions that were provoked by observing and imitating these elders—questions about how they scripturalized, how they made what the book and reading represented so mysterious and fun and funny, how they made and managed meaning. But graduate studies were differently oriented. They forced me to put aside the questions and issues that had inspired and provoked me for years. The details are not important here. I share the scars and muscles such experience provided many others. But it is important to share here what insight I developed over some time into the issues that drew me to graduate studies in the field of scriptures, and what that insight has inspired in terms of the ISS. Most importantly, however, I was secretly nursing and keeping alive my questions and issues from home. Those little religious circles of the elders helped me to challenge the field in terms of forcing consideration of the question about what work we—all peoples—make scriptures do for and to us. (Along the way I was somewhat encouraged by Wilfred Cantwell Smith’s challenge of the field of biblical studies—to raise the question about what scriptures are. That he was ignored and ridiculed by faculty in my field, and by my peers was an important lesson for me. At any rate, his analytics proved to be too vacant of social texture and political charge to prove to be of lasting influence.) This persistent questioning drew me to consider the work of scriptures, scripture-making, and so forth, as a cultural practice, and as a practice, to consider its function in the larger culture—in the United States, in the West, throughout the world. I became fascinated with the idea that the raising of the question at the level of my grandmothers’ prayer bands and bible studies could inspire me to raise the same question about the rest of the world. In short, although not without difficulty, and not without wounds to be sure, from my childhood curiosity about the mimetics of elders I eventually conceptualized an intellectual project—critical comparative scriptures or signifying (on) scriptures. The “origins” project with which the academy is so deeply preoccupied, whether Eurocentric or Afrocentric, with its woolgathering around antiquity, I have discarded as hyper-fetishistic. Instead, with my focus on the invention and uses of scriptures as an analytical wedge for critical social-cultural history, I came to see that, especially in the modern era, “religion” as we know it and experience it, the religion centered around the engagement with a book or books, religion as invented and classified by the likes of Max Mueller, is basically, and poignantly, scripturalism. It is a particularly modern ideology. And with its peculiar politics and power relations it has led to social-cultural, psycho-social and political-economic regimes that I call scripturalization. Manifestations of the latter include the United States. Or the United States and Britain. It also includes historical and contemporary forms of Islamic states. But it also includes domains beyond (Enlightenment-defined) “religion,” beyond even “civil” religion—such as the academy; and jurisprudence. (Scalia and Thomas as “originalists” are, in fact, scriptural fundamentalists in the more expansive sense of the term.) There are countless other examples. My grandmothers unwittingly participated in an iteration of scripturalization. They were thrust into it, made to engage it. But they also came to a point of exercising agency, power through scripturalizing practices and the associated politics that rendered scripturalization far more complex and layered than dominants ever imagined it could be. That is why scriptures must be made the subject of critical history. I do not claim that it is only through my experience that one can come to this positionality and orientation and conviction. I had to engage in some aspects of “crawling back,” as you have named the turn to a layered past. It took me some time to come to this point at which I must, in tweaking James Carville’s message (to himself during the first Clinton campaign), shout boldly that (it’s not the text) “it’s scripturalization, stupid!” It is now difficult for me to understand the urgent intellectual and political project in other terms. CHL: This response is most informative and from a personal point of view, rather uncanny. It is personally uncanny, for in style and tone it replicates, in many respects my own background and academic experience. Though I ended up in a Divinity School, I was not there because I wanted to be a Christian minister. As I have said on many occasions, I blundered into the University of Chicago and its Divinity School. At that time the University of Chicago fostered a radical sense of inquiry and thus formed a context that was broad enough, on the one hand, and experimental enough, on the other, to foster focused attention. My discovery of the History of Religions defined my mode of focusing within a very wide milieu of knowledge and meaning. And this also reflected on the existential situation and historical understanding of my background. Now given these similarities and parallels, we both were trained within an Enlightenment paradigm. Of course, this paradigm is under attack from several quarters, and some imagine that they can even dispense with it altogether. I am not of this opinion; I enjoyed my learning in this dimension and I came to see that it was already a part of me long before I came to the University. In any case, I was wondering just how one negotiates this powerful and pervasive modality of epistemology and knowledge with the “appearance” and “coming into being” of new phenomena, powers, and structures. How does one acknowledge data of this sort and prevent it from becoming simply another item within the Enlightenment conceptual discourses? VLW: Very important and difficult questions, to be sure. I do not pretend to have the answers. What I might indicate here is that I hope the project and venture that is the ISS will be both a challenge to, and a correction and reconceptualization of some important Enlightenment gestures and orientations. There is no sense in trying to go around it or to a point before the Enlightenment. You are right and strong-voiced and compelling on this point: we all have contributed to—and suffer from—what this phenomenon has become and means. The question—or one of the major questions—before us is how to reshape and redirect it, make it less a matter of our passive participation in it, with its perduring effects on us, more a matter of re-reading it in terms other than those having to do with the violence it has done. CHL: I don’t know whether I am getting this right or not, but it appears to me that you are saying that the Enlightenment defined a certain “semiosphere—a discursive regime with scriptural codes of all sorts” and one learned how to “read” these codes or they didn’t. A great part of your ISS project consists of reading these codes and discourses from several different perspectives and in very different ways. Now this is where I think that some problems arise, and these problems are related to the generalizing metaphorical usage of “scripturalizing” and “readings.” At base, I guess I am raising an epistemological problem, but it arises from the consideration that for a long period in the modern world my ancestors were unable to read or write. Not for one minute would I recommend the state of illiteracy for any person or any society or culture. Such a judgment does not mean that I fail to understand the importance of all that is not scripture and reading in modern culture. This was the burden of my short essay, “Silence and Signification.” It is not only the fact of silence within the realm of speech, but equally its location that makes it significant. Of course, I am not specifying “silence” as a kind of norm. I am rather presenting it as one of those modalities that need as much consideration as those epistemic orders stemming from reading and scriptures. For example, I feel that this “interview” would be a very different document if it had been conducted by telephone where I could hear your voice and its changes and had a chance to interrupt for clarification, reminders, etc. In other words, the speech-to-speech makes for a quite different discussion than what has become more like a “take home” exam. In other words, I have a sense that this interview, had it been more dialogical, might have led to other results. This is why I did not understand the interview from the very beginning. I did not imagine an interview of any kind where the immediacy and spontaneity was not to the forefront. After your clarification, I still wanted to play my part in this new venture and decided to go along with what you originally had in mind. In the midst of this discussion I feel the sense of a “scriptualization” of what should have been more like the translation an oral performance into writing, rather than a discursive discussion attempting to be oral. I have felt a bit awkward as the interviewer, since most of the time I wanted to interject at points, but your statements were part and parcel of a written text and not dimensions of a kind of shared narrative we were making together. At best, as an interviewer, my job was to try to direct you to important aspects of what you say, and push you to bring out the implications of them. I did not wish, as the interviewer, to have statements nearly or even approximating your responses. This is the longest of my statements. I think that had this been more dialogical and spontaneous I might have accomplished this task with much greater facility. VLW: First, one last remark regarding the Enlightenment and what it has wrought—yes, scripturalization, which can also be thought of as a regime of codes (semiosphere) that assume facility for writing and reading. (In the scripts of the dominants, I should quickly add, as our colleague Grey Gundaker (Signs of Diaspora, Diaspora of Signs: Literacies, Creolization, and Vernacular Practice in African America ), has reminded us, their scripts do not exhaust all scripts.) Now, I have tried to advance the notion that among the ancestors that we have in common, “reading” was understood in terms more expansive than the facility for reading and writing in the scripts of the dominants. Their “reading” was understood to have to do with understanding, cognition, ways of knowing, being in tune with, possibly, also criticizing, upbraiding, and so forth. (Here I think “signifyin(g)” of a sort might also be an apt synonym.) This is not the opposite of conventional literacy; it is much broader and deeper. So I have understood my interest in and work on scriptures/scripturalism/scripturalization/scripturalizing to be informed—perhaps, even determined—by the ancestors’ approaches to such. And this includes their mixed capacities with and complex reactions to conventional literacies and the regimes they represent—scripturalization. I should like to think that your concept of “silence” is part of, not outside, those complex reactions—scripturalizing. On this side of the Enlightenment, in the world after Gutenberg, and, indeed, in the era of cyberspace, there is little or no getting around or ignoring the regimes of communication and discourse that I call scripturalization. I could be criticized here for wanting to make theorizing of scriptures or scripturalizing do such (or too much) heavy lifting, such socio-cultural and psycho-social work. Why not make what we often assume to have been the ancestors’ rich oral traditioning, which we typically set up over against conventional literacy, the focus? My response is that at any point after their points of “contact” with the West everything changed for the ancestors and for all parties concerned, including Western enslavers and dominants. Part of our challenge is to figure out in what ways and with what consequences these encounters occurred. I am convinced that forms of communication and ways of knowing are the most basic issues and problematics. It was never a simple matter of one people going this way, another that way. This needs desperately to be unpacked. At any rate, I recall and want to bring to bear on this exchange the work of anthropologist Matt Tomlinson. Tomlinson has for years conducted fieldwork in Fiji. His book, Ritual Textuality: Pattern and Motion in Performance (2014), argues that ritual performances are acts of “entextualization” (here influenced by the work of Webb Keane, anthropologist and new ISS board member), the process by which discourse is turned into objects like “texts.” Ritual performances are made effective through certain patterns—of sequence, conjunction, contract, and substitution. This is fascinating for many reasons, not least because it opens a wide analytical window onto ways to approach ritual acts or performances of all types, including writing. It is in this respect that I think using scriptures as an analytical wedge becomes compelling. If we take this approach, then no form of discourse is off the hook, none is excepted from the need for a critical gaze. All is speech. All is ritual performance. Including that phenomenon—“scriptures”—that we have ironically created expressly to signify that which has been cordoned off as exceptional discourse, discourse qua discourse—not to be questioned. That is why it must be questioned and why the term must not be let go. Finally, regarding this interview as a mode of exchange, I could invoke the limitations of time and resources as a reason to favor this format. I grant that the ear-to-ear and face-to-face exchange would have facilitated a certain texturing. No doubt. And no doubt that ear-to-ear/face-to-face is the métier in which you are most comfortable and powerful—indeed, for which you are legendary. It is in this way that so many know you as a most compelling teacher and arch-inveigler. Yet, I should not like to discount what advantage this protocol has brought me and, through me, the launch of this ex-centric venture that is the ISS: the opportunity and challenge—over several hours to several days—to think through your questions and the issues raised, and to layer and revise and correct and deepen my thinking before finally sitting down and typing… I think I gain the coolness of thinking even if I lose the hotness of the dynamics of the ear-to-ear. What you think was lost in spontaneity and immediacy, I gained in perspective—like the characters developed by Richard Wright and Ralph Ellison, being (again) sent underground for a time draws out my most deliberate thinking on these matters. So although I regret not providing you the protocol you understandably find most stimulating, I must indicate that you were in this exchange, its limitations notwithstanding, no less the provocateur. My hope is that as we go forward there will be many more exchanges of this sort, with you and other minds who will push us along in this work, in our thinking and communications and practices. There is no doubt that for a venture in the early 21st century the exchanges must be multi-modal. Along with our ongoing book series (Signifying [on] Scriptures), we begin obviously and necessarily re-orienting towards some of the modes of exchange that characterize cyberspace. Within this sphere, multiple opportunities and modes of exchange are possible, including: The Abeng, the ISS online journal (which this conversation inaugurates), the name recalling the horn used in the African diaspora setting to call communities of maroons together, here designed as a site for presentation of research and critical argumentation in essays and articles; The Gumbé, named after the drum used in West Africa and in the diaspora to communicate news and accompany dance and celebration, here is reference to an online forum for more immediate sharing of opinion and inquiry. This is where we begin. It is a space for thinking and communication about communication/discourse/language and the politics appertaining thereto. Nothing un-/veils the politics of language like scriptures. Great thanks to you, Professor Long, for your generosity of time and mind and for this opportunity to think with you, be challenged by you. You have honored me and honored this strange new venture.